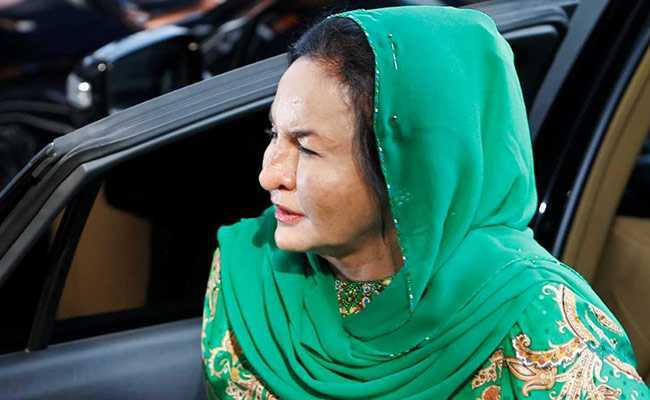 Malaysian anti-graft investigators questioned Rosmah Mansor, the wife of former Prime Minister Najib Razak, for nearly 13 hours on Wednesday over a corruption investigation at state fund 1MDB. Najib Razak has been charged with money laundering, abuse of power and criminal breach of trust in the investigation into how billions of dollars went missing from 1Malaysia Development Berhad (1MDB). Her lawyer, K.Kumaraendran, told reporters she had completed giving her statement to the MACC. He declined to comment further. As she left, she said only: "I'm OK."
The U.S. Department of Justice has alleged more than $4.5 billion was misappropriated from 1MDB and that about $680 million ended up in Najib's personal bank account. The couple's world has been turned upside down since Najib's shock election defeat on May 9 to his one-time mentor Mahathir Mohamad, who swiftly reopened a probe into 1MDB.